Harvey Norman Commercial Division NSW/ACT proprietor, Alan Stephenson has announced the largest diversification project in the group’s history. With 25 years of experience as a specialist supplier of electrical and plumbing goods to trade and business to business sectors, the group will now expand its offering to include commercial grade whitegoods and cooking appliances for environments such as hotels, bars, restaurants, corporate offices, aged care facilities and child care centres. “Once again the group is taking proactive steps to expand its one stop shop offering to further cement our position as the best supplier to trade in our industry,” Stephenson said. 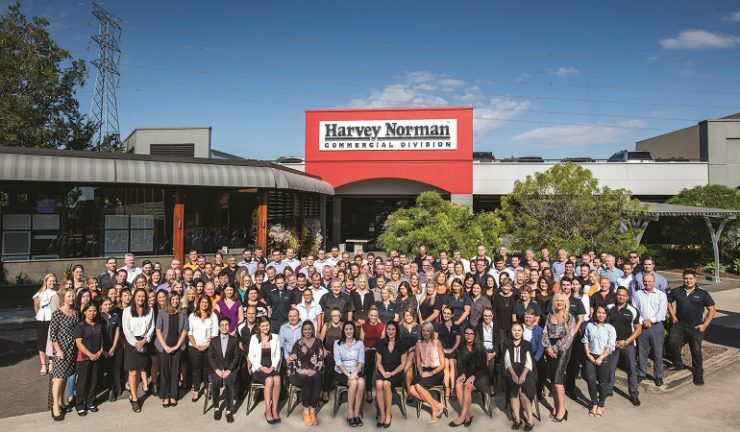 As part of the expansion, Harvey Norman Commercial NSW/ACT is welcoming any sales team members of Southern Hospitality, which entered liquidation last week, to discuss employment opportunities. “The new team members will be an integral part of growing this business unit and Harvey Norman Commercial would love to make sure the distressed employees of Southern Hospitality are transitioned into a new and stable role just in time for the arrival of Christmas,” Stephenson said. All interested candidates are encouraged to contact Harvey Norman Commercial NSW/ACT business development and sales manager, Behrouz Bolurieh via Behrouz.bolurieh@au.harveynorman.com or 0421 197 593.